This book provides a self-contained and accessible introduction to linear and multilinear algebra. Besides the standard techniques for linear and multilinear algebra many advanced topics are included. Emphasis is placed on the Kronecker product and tensor product. 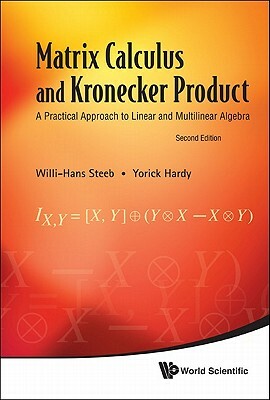 The Kronecker product has widespread applications in signal processing, discrete wavelets, statistical physics, computer graphics, fractals, quantum mechanics and quantum computing. All these fields are covered in detail. A key feature of the book is the many detailed worked-out examples. Computer algebra applications are also given. Each chapter includes useful exercises. The book is well suited for pure and applied mathematicians as well as theoretical physicists and engineers. New topics added to the second edition are: braid-like relations, Clebsch-Gordan expansion, nearest Kronecker product, Clifford and Pauli group, universal enveloping algebra, computer algebra and Kronecker product.